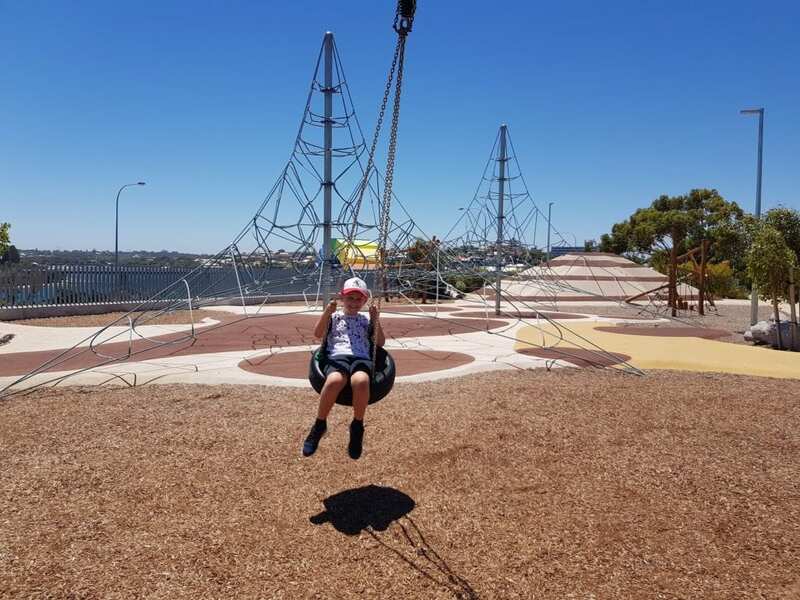 Found overlooking the Swan River and Fremantle’s bustling port, is the fantastic Tuckfield Oval playground where you might even spot a rainbow! 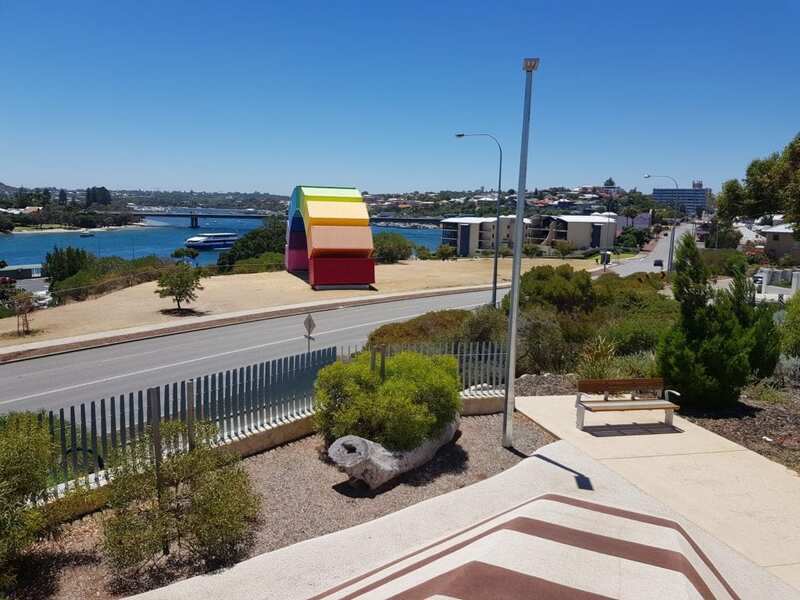 The newish play area is in East Fremantle, near to the George Street coffee strip, is close to the iconic shipping container “rainbow” too. Just a hop, skip and jump across the road. 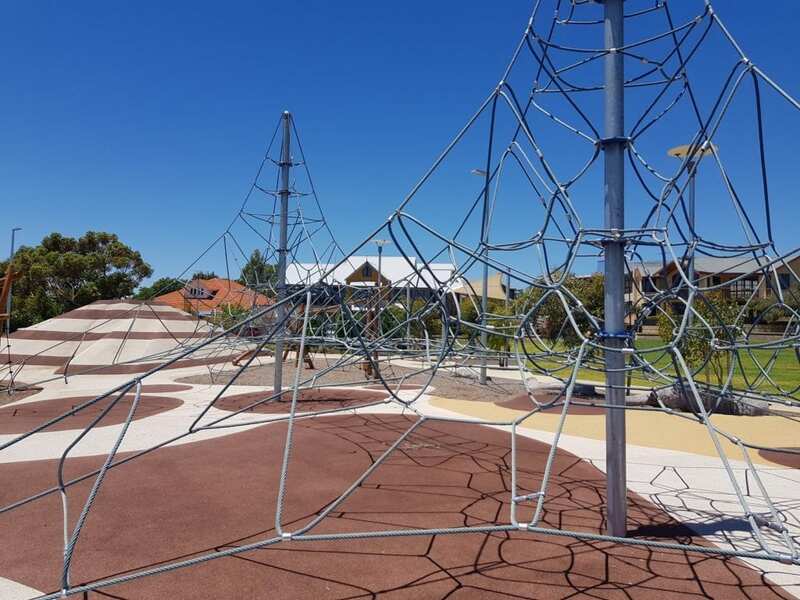 The playground features a HUGE rope climbing structure. My Son headed straight to the large hill! 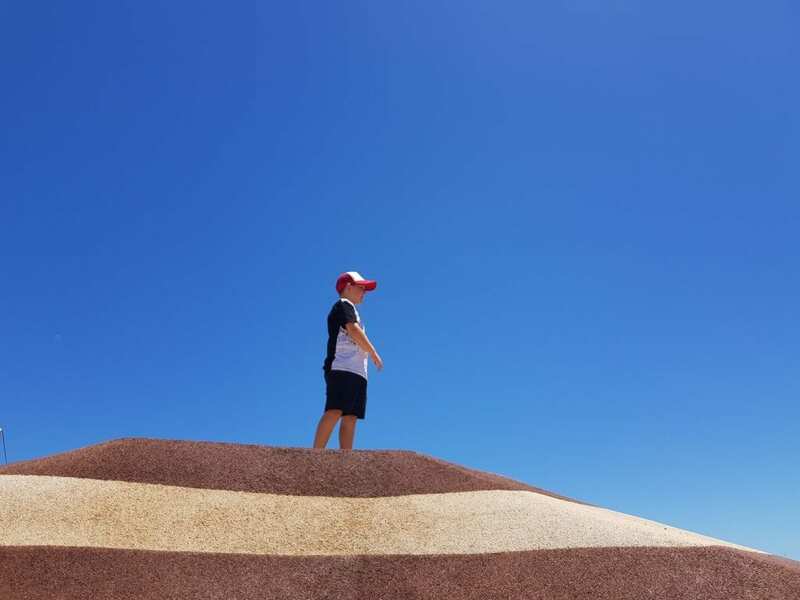 There’s also a large stripy hill, covered in soft fall and some rock-climbing style holds, for climbing to the top. It’s worth even the adults getting up there to enjoy the spectacular view, just be wary of little climbers! 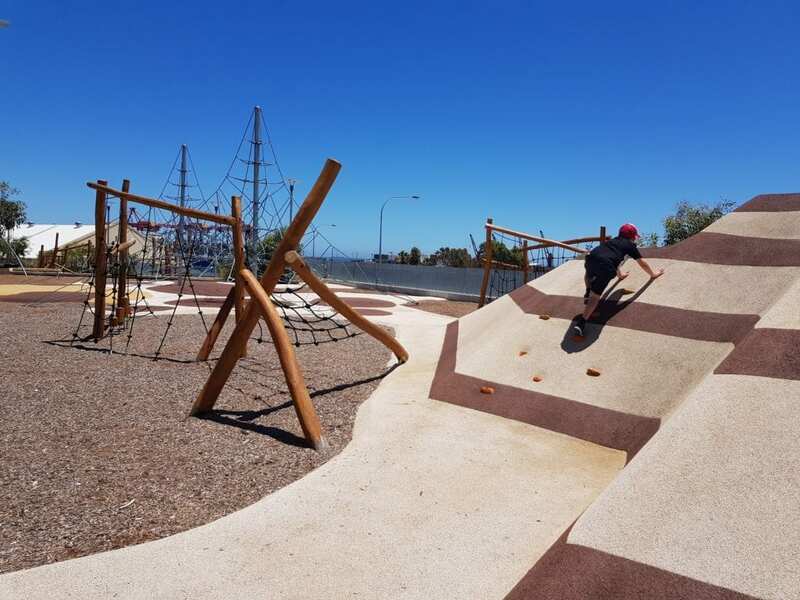 Tuckfield Oval has a nature play feel, as most of the equipment is wooden and there’s a mix of bark and soft fall surfaces. 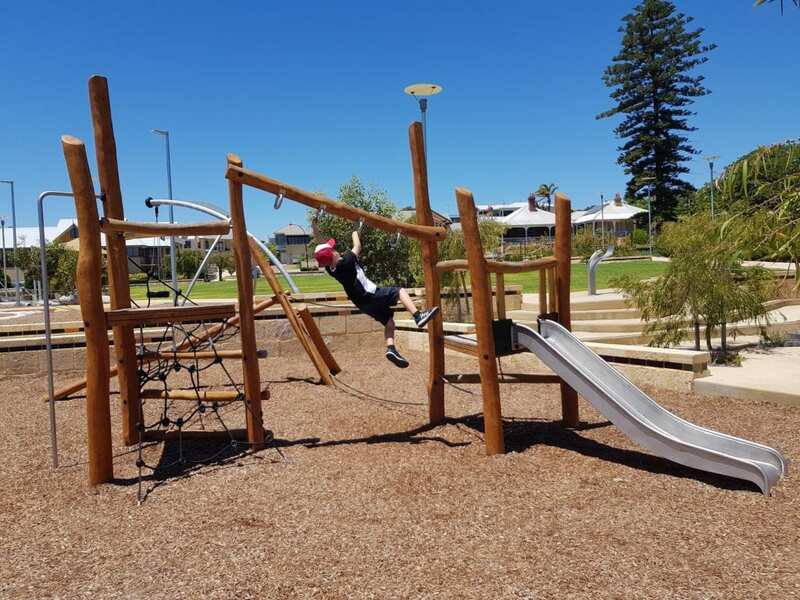 Older kids will love the obstacle course style rope and wood equipment to jump and swing between. There’s also a small tyre swing on. 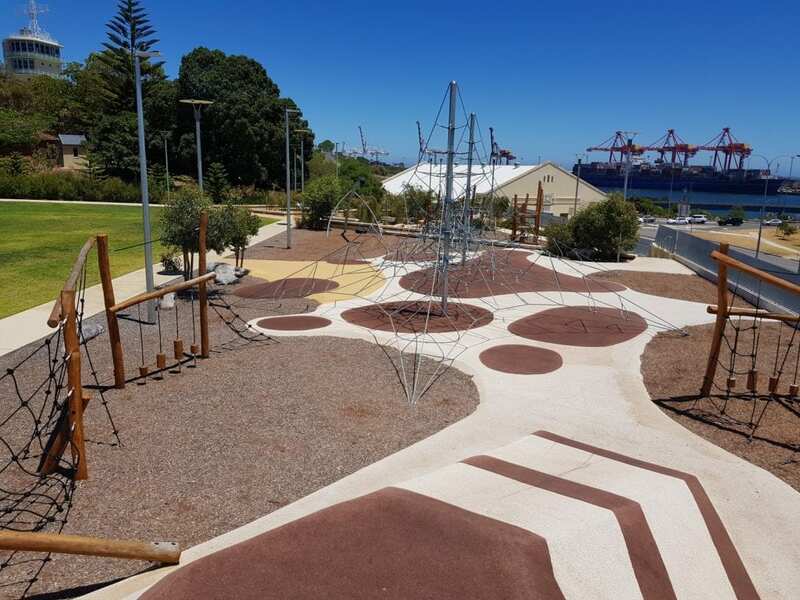 The lower end of the playground also has a wooden obstacle course, which is suited to younger children. 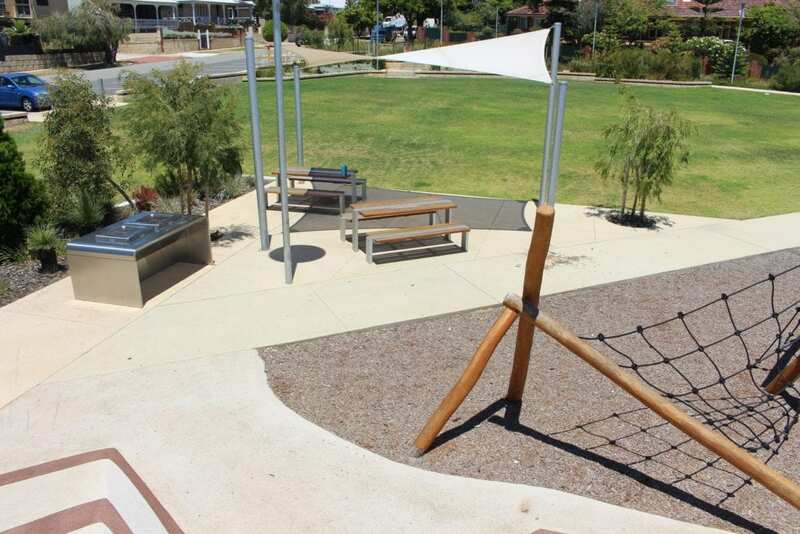 There are logs and ropes to climb on, a fireman’s pole and a small slide too. 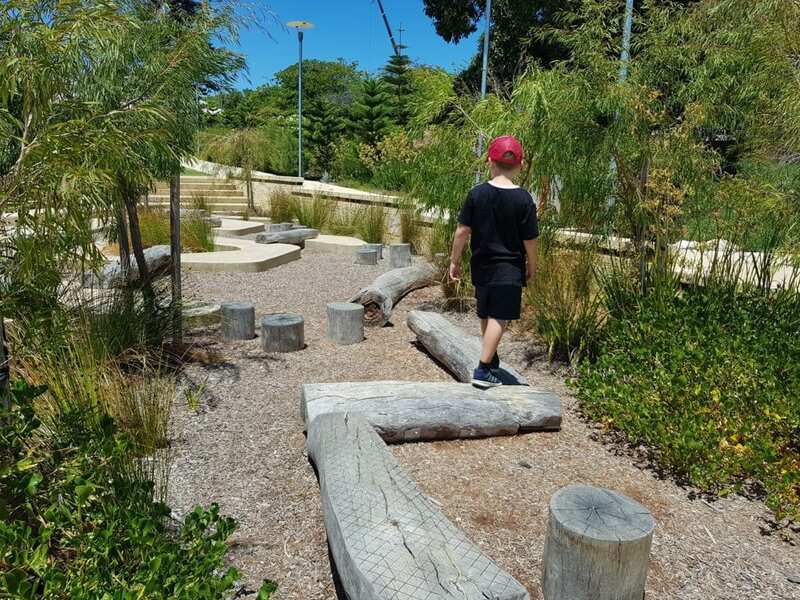 Next to this there is a nature play area with stepping and balancing logs and small pathways to navigate around. Watch out for the wobbly log! 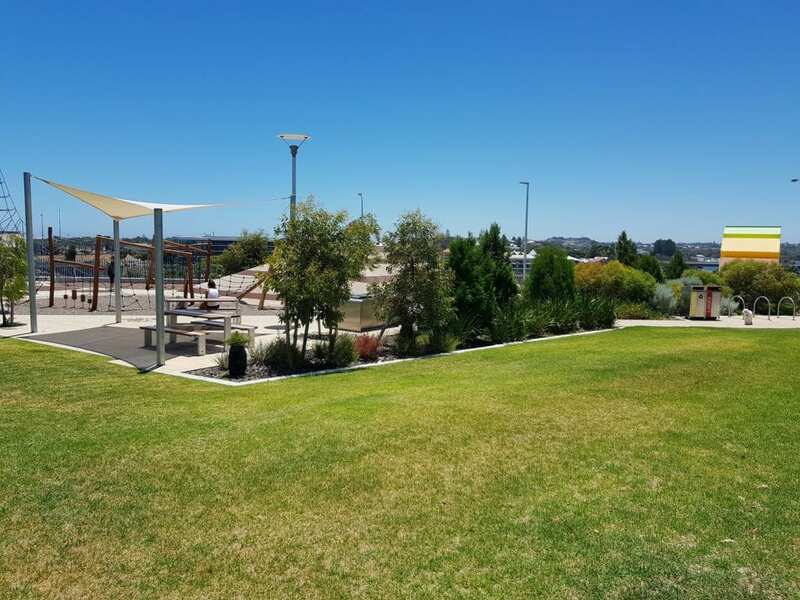 There is a grassed area, with plenty of space to run around or kick a ball. There are also a couple of shaded picnic tables and a BBQ. Tuckfield Oval would be great spot for a picnic, though not on a very hot, sunny day. Sadly there’s very little shade. Be sure to take the kids along to the brilliant playground and that amazing view! 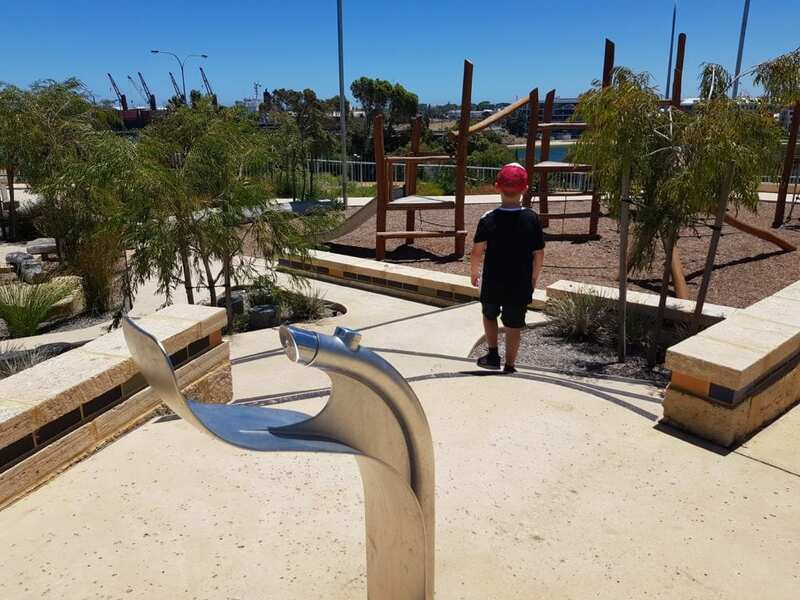 Find Tuckfield Oval on Tuckfield Street, East Fremantle.